Annyeong! The last time I posted about Korean dramas was last September 2018. For the last 3 months (4th quarter) of 2018. Guess how many I watched since then? Lo and behold, I watched 9 Korean dramas for the span of 3 months! But there are 5 K-dramas that are still ongoing. - Starring Seong Kang-joon (On Joon-young) and Esom (Lee Young-jae). - Starring Seo Hyun-jin (Han Se-gye), Lee Min-ki (Seo Do-jae), Lee Da-hee (Kang Sa-ra) and Ahn Jae-hyun (Ryu Eun-ho). - Starring Lee Je-hoon (Lee Soo-yeon), Chae Soo-bin (Han Yeo-reum), Lee Dong-gun (Seo In-woo) and Kim Ji-soo (Yang Seo-koon). - Starring Moon Chae-won (Sun Ok-nam), Yoon Hyun-min (Jung Yi-hyun / Immortal Izy / Deer), Seo Ji-hoon (Kim Geum / Immortal Daube / Bausae), Jeon Soo-jin (Lee Ham-sook) and Kang Mi-na (Jeom Soon-yi). - Starring Jang Na-ra (Oh Sunny), Choi Jin-hyuk (Na Wang-sik / Chun Woo-bin), Shin Sung-rok (Emperor Lee Hyuk), Lee Elijah (Min Yoo-ra) and Shin Eun-kyung (Empress Dowager Kang). The countdown to Christmas has begun! I couldn't be more excited. Christmas to me means spending quality time with family and friends. As the year draws to a close and everyone is into holiday mode, why don't we just go out and eat with our loved ones? Sounds good, right? Eatigo was founded in 2013 in Bangkok, Thailand. Backed by TripAdvisor, it is now available in the following countries: Thailand, Hong Kong, Singapore, Malaysia, India, Philippines, Indonesia and is expanding to more countries. 1. 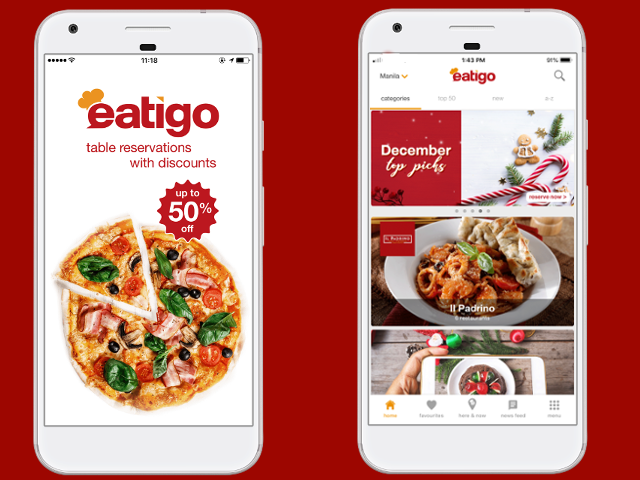 Just go to this link: https://eatigo.com or download iOS or Android mobile app. 3. 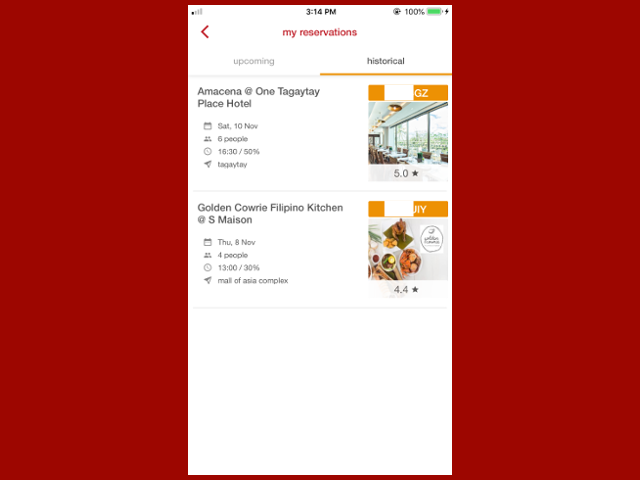 Search and book for restaurants that suited on your budget. Be sure to pick the best date and time. You will automatically receive an email as well as text message regarding your booking details. I was able to avail 30% as well as 50% discounts on our family meals. That's a great deal, right? Hello! 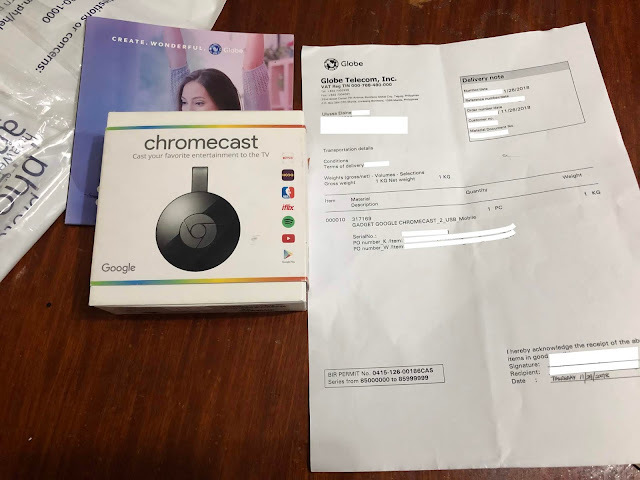 I purchased Google Chromecast 2 from Globe Telecom (PH) last November 25, 2018. 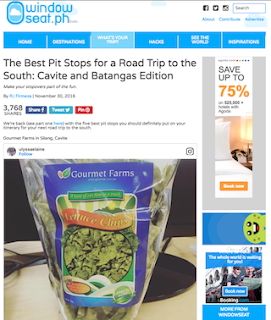 Then, I received the item last November 29, 2018. There's no shipping fee or whatsoever. The delivery time was pretty fast considering that my delivery address was a provincial address. For only Php 2,295, you can now own a Google Chromecast 2. The box consists of: Chromecast, power cable and power adapter. Here's the link if you want to purchase from Globe Telecom (Philippines). It's one of the best decision I ever made!!! What is Google Chromecast 2? It is a streaming device that allows you to cast your favorite entertainment in your home TVs. Turn your old TVs into a Smart TV!!! You can now stream and access your favorite TV shows, movies, games, music and more in a bigger screen without draining your mobile device's battery. Your device now will only act as a remote. You can also visit this link for more detailed instructions. It's pretty simple, right? Just make sure that your old TV has HDMI slot before purchasing the item. Also make sure that you have a nice internet connection at home for a great experience. ***All you need is a TV with HDMI slot, WIFI connection and your mobile or tablet device with Google Home app installed: Android and iOS. You can visit this link to check for all the compatible chromecast-enabled apps. Spotify, Youtube, NetFlix, DisneyLife and more are included on the compatible apps. How about you? 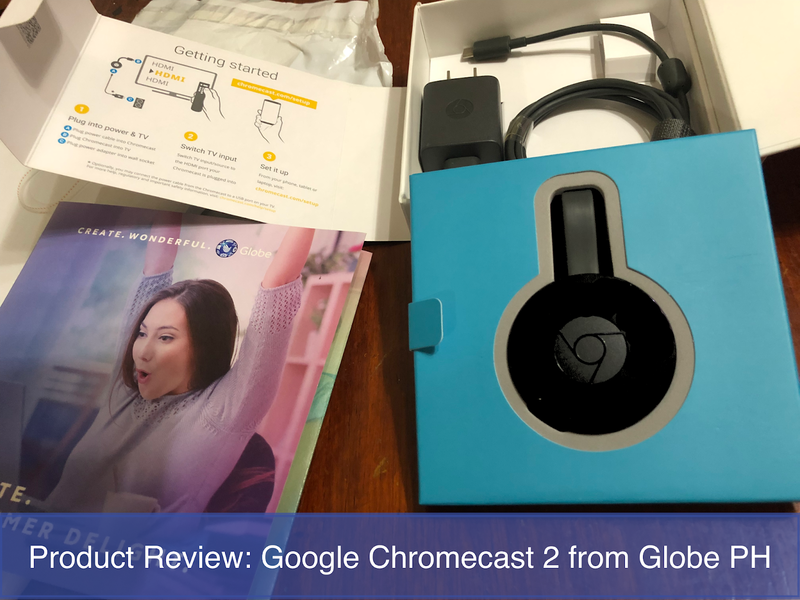 Have you purchased Google Chromecast 2? If not, are you planning to buy?